Adopting a child gives those who are hopeful parents the opportunity to welcome a new family member into their home. Whether you’re adopting domestically or internationally, the process will give you a new member to love and watch grow up. The process of adoption can take a very long time, but in the end, it’s a life changing experience that will give those who have always wanted children the opportunity to raise their own. There are many different types of adoption that range from adopting small children in the traditional process to making two families come together such as with stepchildren. If you’re a resident of California who wishes to welcome a new member to your family, then take the time to speak to a family lawyer to learn more about the laws of adoption in the Golden State. 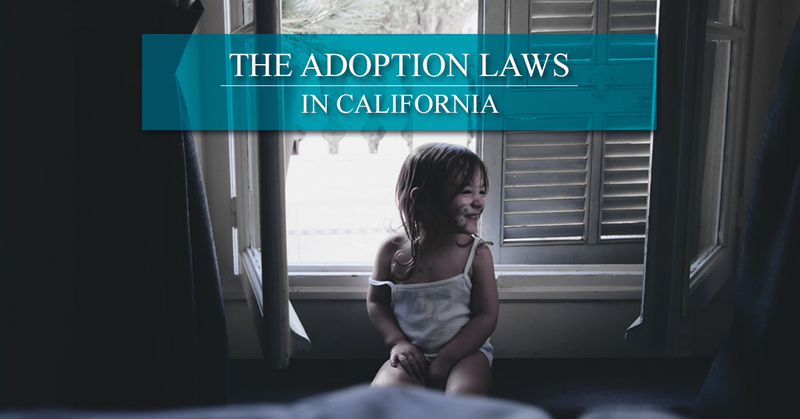 Like with any activity where you’re taking another person’s life into your own, there are certain requirements for adoption in California. Every state in the nation has their own key factors that make you eligible to adopt a child. Regardless if you’re adopting from the state you live in or from an outside country, you’ll need to adhere to certain factors that allow you to welcome a family into your home. One of those requirements is that a parent has to be at least 10 years older than the child who is getting adopted. Another requirement is that you need to have a home study to ensure that you’re a responsible person who will be able to care for a child. Background criminal checks are also essential to make sure you and your partner are safe for a child to be around. The California Home Study consists of making sure the environment you’re bringing a child into is safe. The inspection consists of submitting fingerprints, completing an in-home visit with a social worker who also does an investigation, attending adoption training classes, completing an individual interview with the social worker, and taking a physical examination. The California Home Study isn’t meant to make you uncomfortable or nervous, but to ensure that you and your partner are capable of caring for another life. Filing for adoption of any sort can be a lengthy process, which is why it’s imperative that you hire a lawyer to help you through the process. A lawyer will make sure that you are adhering to California laws and will help you with the paperwork you need to fill out. Since you’re so close to your dream of welcoming an additional member of your family, you want to make sure that the process is followed in the correct manner. Our family lawyers can help you with the legal process that consists of going through the proper channels to adopt a child as well as following the appropriate steps. Depending on the adoption you’re going through, the process can be a little different. For instance, an international adoption process differs from a domestic one. For more information on adoption, don’t hesitate to reach out to a family lawyer from Lopez & Wilmert, LLP.